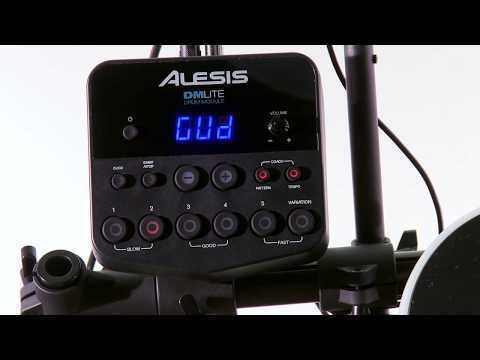 If you've always wanted to learn to play drums, without the hassle and noise of a regular Acoustic Drum Kit, the Alesis DM Lite is the perfe.. If you've always wanted to learn to play drums, without the hassle and noise of a regular Acoustic Drum Kit, the Alesis DM Lite is the perfect start. 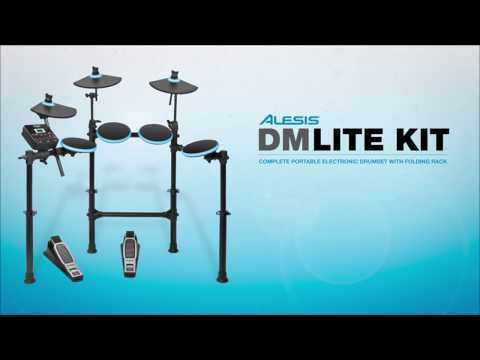 The Alesis DM Lite is an electronic drum kit with the unique feature of pressure activated LEDs around the snare, 3 toms, 2 cymbals and hi-hat - perfect for beginners learning the craft and experienced players honing their skills. Already assembled out of the box it's height adjustable and when folded can save vital space. Alesis have managed to create a kit which saves money which still has plenty of varying styles and sounds - with a total of 200 sounds built into 10 kit presets the electronic kit also has a USB MIDI connection opening up the possibilities of triggering other sounds on computer software (PC and MAC compatible). The attached DM Lite module also has a built in drum coach featuring 30 backing tracks and tutorials for users to play along to. New and existing users of Alesis drum kits are now eligible for a free Melodics promo code which grants them access to 40 bonus lessons from Melodics. Melodics is a desktop music app that provides a new way to learn your instrument. Providing lessons on a variety of different genres from respected industry artists, Melodics provides a fun, informative and engaging way to learn drums. Now, Alesis drummers can take advantage of this great platform with a code that provides them with 40 BONUS LESSONS! From developing solid time keeping to nailing that complex fill, Melodics will help you get the most out of your Alesis kit so that you can become the drummer you’ve always dreamed of being.